The IBKUL long sleeve mock is designed with a soft, lightweight SPF 50+ anti-bacterial, breathable fabric. Because these shirts are designed with IceFil fabric, you will stay cool and comfortable even in the blazing humid heat. 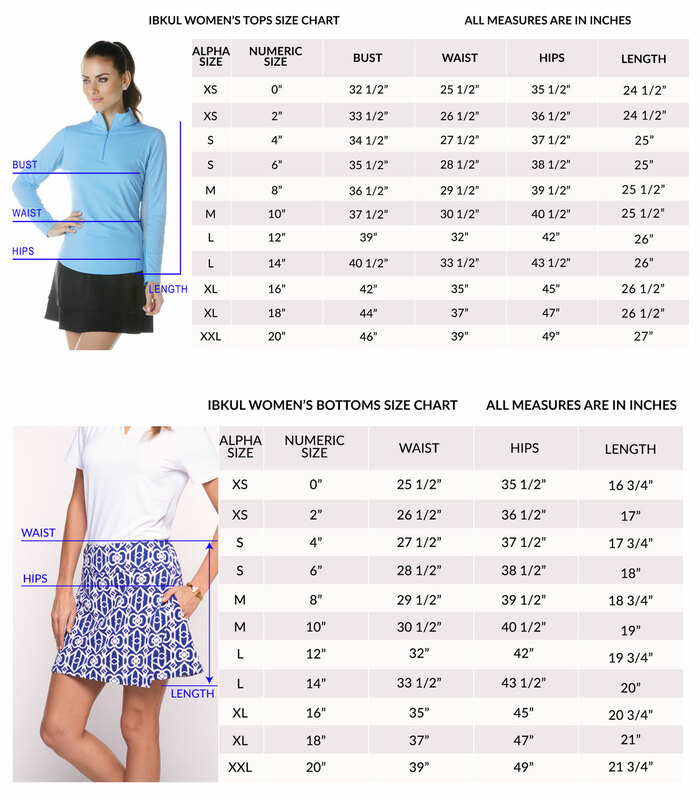 Ideal for athleisure, beach, boating, golf, pool, or an extra layer on cooler days/nights. These vibrant prints are also available in a long sleeve polo, long sleeve crewneck, short sleeve mock and a new flounce 3/4 sleeve polo. Fabric: IceFIl fab - converts sweat into cooling energy so you feel the cooling comfort in warm, humid weather conditions. Care: Machine wash cold. No fabric softener. Line dry.